My family knows that I can rarely follow a recipe verbatim. I’m always changing things up, so I wrote this As-You-Like-It Curry recipe just like I tend to cook, with a maximum amount of flexibility. Use the veggies you love. Add chicken if you like…or not. Depending on how saucy you would like your curry, adjust your veggie quantity accordingly. 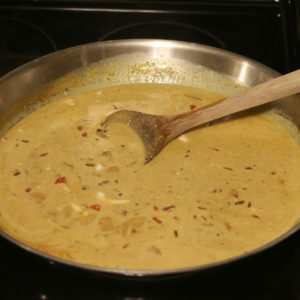 This recipe freezes great, so I recommend doubling the recipe and saving half for a rainy day (literally, because, wow does curry taste great on a cold, blustery day!). I’m often asked for this recipe after I bring it to potlucks or serve it to guests, so for all the friends and family who have asked for this recipe, here it is! Enjoy. 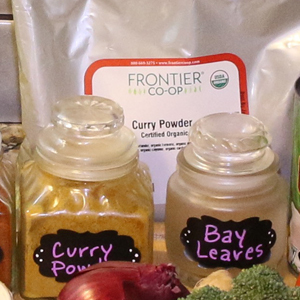 A simple and delicious curry recipe with a license to customize. Cut up all veggies and set aside in bowls. 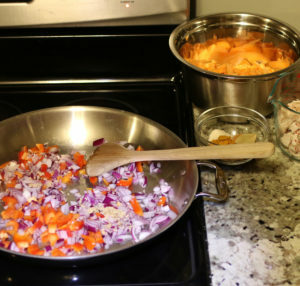 Divide the veggies that take a long time to cook from the ones that take less time. For example if you are using potatoes or sweet potatoes, they take longer to cook than asparagus and broccoli. 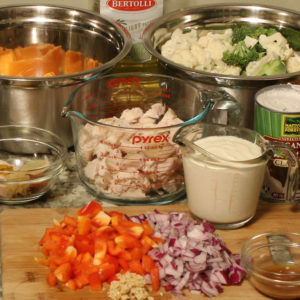 4 cups of veggies will result in a more saucy curry. 6 cups of veggies will result in a more stew-like curry. 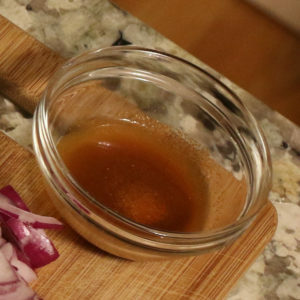 If you are like me and tend to be over zealous with your vegetables, you can always add another cup of Greek yogurt at the end to create more sauce. 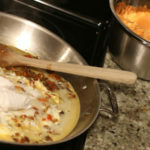 If you are adding chicken, cut up about 2 cups and set aside. 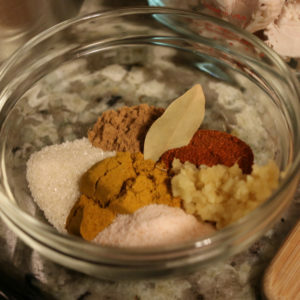 Measure your spices (curry, cinnamon, paprika, bay leaf, fresh finger root, sugar, salt) into a small bowl and set aside. Mix the lemon juice and cayenne pepper together in a small bowl and set aside. 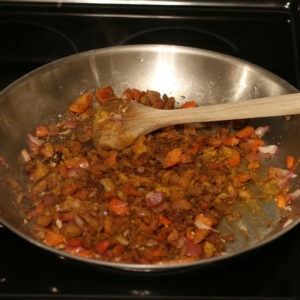 Add spices and continue sautéing while continuously stirring for 1 minute. 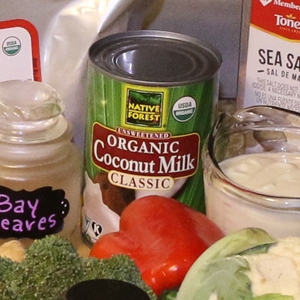 Add yogurt, coconut milk and vegetables that take longer to cook (ie: sweet potatoes/potatoes). 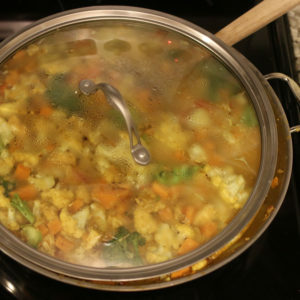 Bring to a boil, reduce heat, and simmer covered for 15 minutes or until the first set of vegetable are almost soft. Add the remaining veggies and chopped chicken. Cover and simmer for another 15 minutes, or until all veggies are done to your liking. Remove bay leaf, and stir in lemon juice and cayenne pepper. Simmer for 5 more minutes. Serve over rice, cauliflower rice, or noodles. 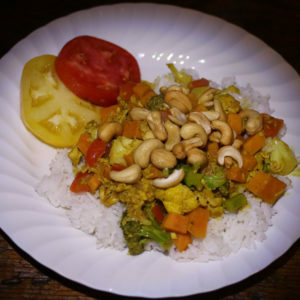 Top with cashews and/or flaked coconut.